How to auto rotate images based on EXIF Orientation tag? Everyone of us probably has hundreds if not thousands of images taken with his digital camera or cell phone. When viewing these pictures on computer (or TV) you will find that lots of pictures needs to be rotated to be displayed correctly. Doing this by hand can really take some time. Luckily, I have found an easier way of solving this problem. It’s also very fast and easy to use! Most of modern digital cameras (and cellphones) save many extra data to JPEG. 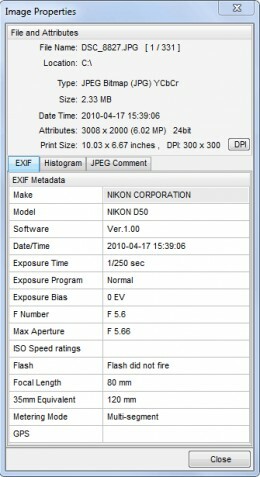 That’s called EXIF data. 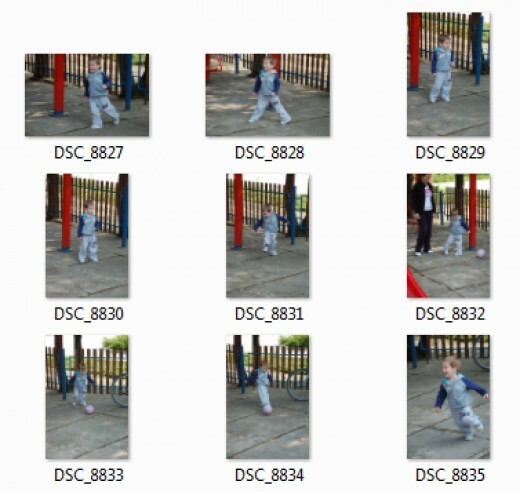 Many useful information about how the picture was taken is stored in there. 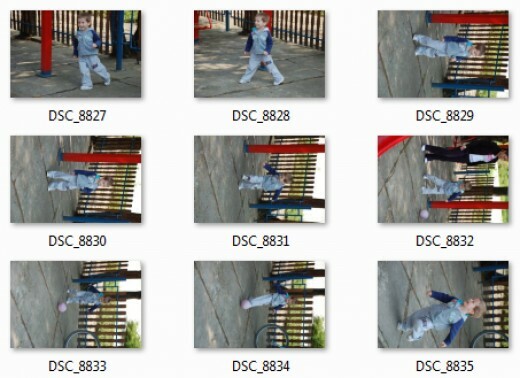 In sample I provided on the right you can see part of the EXIF data saying that the picture was made using my Nikon D50, that I didn’t use the flash and that exposure time is 1/250 sec and that focal length was 80mm. Beside that, there are many other details that are not displayed in this sample, and among those is Orientation tag that says how the camera was positioned in time of shooting. Some programs use that Orientation data to auto-rotate the images for you when viewing them – some do not. 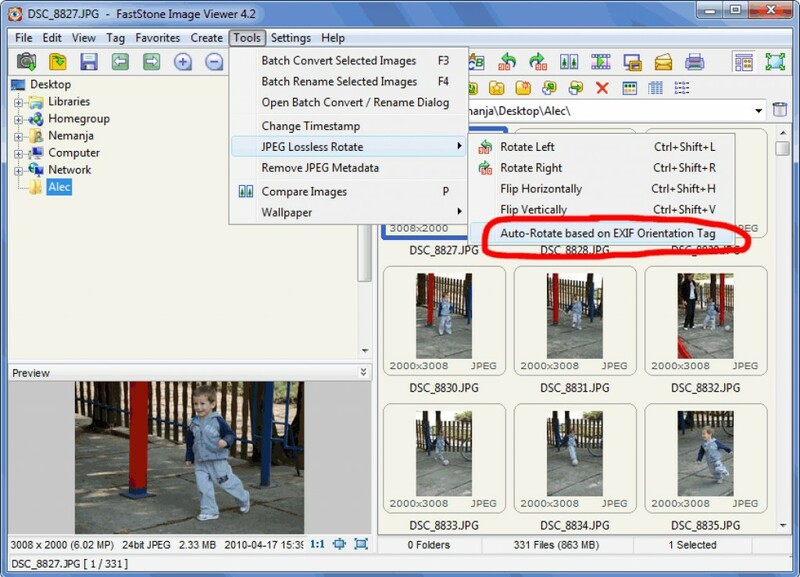 Our mission is to rotate multiple images in batch using exif orientation without loss of quality. For that purpose I will use FastStone Image Viewer that you can download from my favorite software download site FileHorse.com. 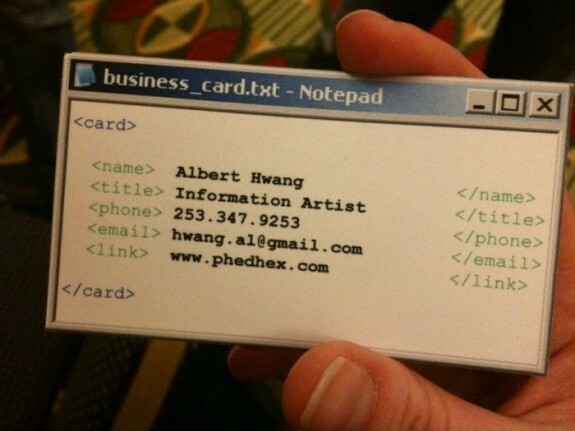 This software is free for personal use (professionals should buy a license). It’s really amazing piece of software for image manipulation (viewing, converting, cropping, re-sizing, watermarking – you name it!) and it’s very light weight one so it will run smooth even on lower spec computer. Feel free to leave your comments in the comment box below!